11 pickup trucks increased their share of the U.S. auto industry’s April 2016 sales volume to 15.4%, up from 14.3% in the same period a year ago. Ford’s class-leading F-Series, the top-selling vehicle line in America, produced its second consecutive 70,000+ sales month in April 2016. The two next-best-selling vehicles in America, the Chevrolet Silverado and Ram P/U, added nearly 7200 sales in April alone. 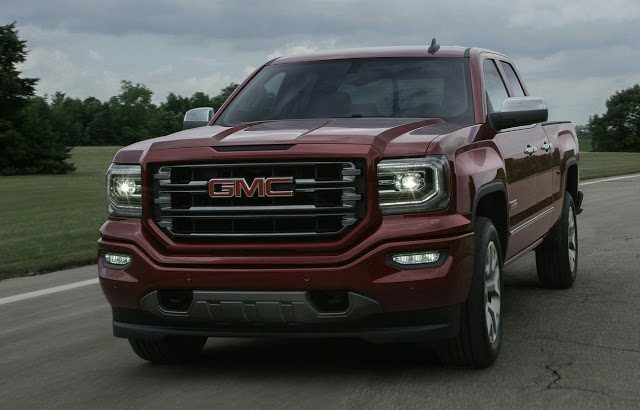 Together, these three trucks and the Silverado’s GMC Sierra twin generated eight out of every ten pickup sales in the first one-third of 2016 and 12% of the industry’s new vehicle sales volume. The SUV/crossover sector has also contributed meaningful growth in 2016. After producing 35% of U.S. new vehicle sales in the first four months of 2015, SUV/crossover market share is up to 37% in 2016. Minivans, too, are on a roll, as all six top-selling MPVs are selling more often this year than last. Minivan market share has grown to 3.5% this year, up from 2.8% at this state in 2015. Car sales, on the other hand, are falling with surprising swiftness given the health of the overall market. New vehicle volume was up by more than 3% in the first four months of 2016, yet car volume is down by more than 5%. In April, with auto sales up 3.6% – and the daily selling rate flat, year-over-year – passenger car volume slid 6%, a loss of 39,000 sales. The decline among cars is felt particularly keenly in the luxury sector. Year-to-date, BMW’s cars are down 22%, Cadillac cars are down 15%, Infiniti cars are down 24%, Lexus cars are down 20%, Lincoln cars are down 7%, Mercedes-Benz cars are down 15%, Porsche cars are down 7%, and Volvo cars are down 36%. The table below is completely sortable, so when you click the column header to sort by vehicle names to showcase all BMWs together, for example, you’ll also see the BMW brand’s total. Reminder: these are 2016 year-to-date rankings, but you can sort vehicles by April volume by clicking the April 2016 column header, or you can rank vehicles by improvements or declines using the % columns. Or, most importantly, you can list automakers together by selecting the Vehicle column header. ^ Mercedes-Benz USA, not GCBC, is choosing to now combine E-Class and CLS-Class figures. ° Overall market figure is a combination of all reported sales figures and HybridCars.com estimate for Tesla. Sales data for brands such as Aston Martin, Ferrari, Lamborghini, Lotus, Rolls-Royce etc. are unfortunately not broken down by model. estimates say sales for Aston Martin and Lotus in 2016’s first four months were 344 and 56 units, respectively. Model X estimate: 1500 in April, 3900 YTD.